A vehicle with rear drive type should have a propeller to move a vehicle. And in this post we will discuss about the main functions of propeller shaft and the main symptoms of failing propeller shaft. The propeller shaft is what makes any vehicle move by connecting the rear differential to the engine’s and transmission system. It is a mechanical component shaped like a tube which allows the transmission to power the differential. This is how the rear wheels of a standard car are able to move in the first place. Without this propeller shaft, the rear wheels wouldn’t be able to move. But don’t worry because propeller shafts won’t just fail instantly. They tend to slowly deteriorate over time, which gives drivers a chance to notice the symptoms of the failing shaft early on. But you have to be able to recognize these symptoms in order to take immediate action by replacing your propeller shaft. Otherwise, you could end up seriously damaging your car or end up in a bad accident if you are driving. The first symptom is abnormal noises. If you are driving and you hear clunking or rattling sounds, this is an indicator that your propeller shaft may have some issues. You may even hear squeaking noises as you accelerate and decelerate but then the noises will go away if you are traveling at high speeds for a consistent amount of time, like on the interstate. These kinds of noises are a dead giveaway that your propeller shaft has problems. Most people may ignore these noises because they don’t realize what they are. As time goes on without any repairs being made, intense vibrations will become the next symptom. Now we all experience some amount of vibration while driving, but a failing propeller shaft will cause the car to shake or tremble intensely. You will even start to notice the floorboards vibrating as you increase your speed. If you’ve gone this long and still haven’t tended to your propeller shaft, then you will experience difficulty when turning your car. This happens because a failing propeller shaft won’t allow your tires to turn properly. 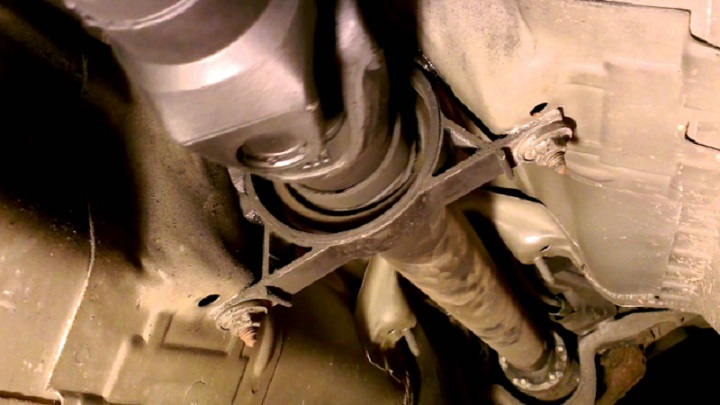 So if you feel resistance in the wheels as you try making a turn with your car then this is a big warning sign that you have to get a new propeller shaft immediately. Most people won’t ignore the problem at this point because their driving will now be affected by the failing propeller shaft. Unfortunately, they will find this out the hard way by likely getting into an accident over not being able to turn properly. Then this will lead to even more repair expenses due to accident damages. So the next time you hear strange noises coming from your car, try to take them more seriously and go to an automotive specialist right away.